Unlike other countries, Indian Citizens are not on the list for Visa Exemption as per the regulations given by the Vietnamese Government. 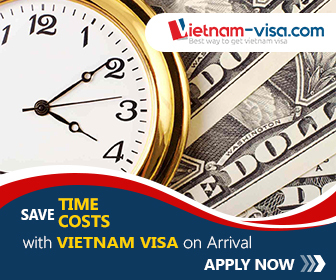 This means that any Indian Citizen who wants to visit Vietnam has to apply for a visa. The type of visa (Tourist, Business, student Visa, etc.) will depend on the purpose and nature of the citizen’s visit. Indian citizens can apply for a visa in one of two ways. The first way is to go through the registration and application process in one of the Vietnamese Diplomatic Missions in India. It can be in the Vietnamese Embassy in Delhi, or the Consulate General of Vietnam, which is in Mumbai. This process is, however, time-consuming as well as expensive, given the amount of money and travelling time it takes to keep visiting these centres for updates and follow-ups. You will also have to use the slow postal service or private couriers to keep track of and receive your return documents. There is no need to go through these hassles when you can conveniently apply with a more straightforward process online! This brings us to the second option: Get your visa online! It is much more convenient, less troublesome, and cheaper too because you don’t have to incur the transportation and commuting costs of regularly visiting the Consulate or Embassy to process your visa. Applying online gives you more flexibility and an easier processing experience. All you have to do is click on the Application Form and provide the necessary details. These details will include necessary information such as your full name (as it appears on your Passport), your correct Date Of Birth, Nationality, Gender, etc. as well as other details that include your Passport number, Date-of-arrival, etc. The next step is to pay the required fees. You can use your credit card to make the transactions to the visa service (Visa, MasterCard, American Express, etc.). A Single-Entry Visa will cost you around $25, while a Multiple-Entry Visa will cost approximately $50 depending on the charges your bank takes for such transactions. Your Visa Service will then forward your application along with your details to the Vietnamese Authorities who will reply with an Approval Letter. This letter may be mailed to you in a PDF format which you can download, print, and carry it with you when you travel and arrive in Vietnam. The final step is to get your passport and visa stamped and accepted after you reach one of the International Airports in Vietnam which offer Visa-On-Arrival facilities. This final stage is merely a formality if you have all your documents in order and your passport with you. Are you ready to see Vietnam? Pack your bags, get your Passport, grab that camera, and apply today!